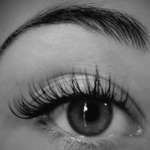 The Lash Boutique - Find A Wide Range Of Courses Online Today. 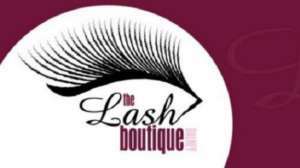 The Lash Boutique is one of Ireland’s leading lash extension salons today. It is run by Thereasa Arcari, an eyelash extension expert with almost 10 years experience in the industry. Here is what she says about herself, the Boutique and their courses. With well over 100,000 views and votes, this year’s Eyelash Emporium Lash 2014 Festival was a huge success. With an amazing showcase of the talent and art demonstration from all the Lash Artists from 32 countries across the globe. Beyond enhancing one of the best features on your face, clients feel an immediate confidence boost when they look in the mirror. I immediately wanted to take my love of beauty and cosmetics to the next stage and train specifically in this field. I completed my professional qualiﬁcation of lashes in New York with Ashia Darby, owner of Exotic Faces – The Lash and Brow Bar, in California. I was fascinated by the American ‘technique’ and how advanced the application and the longevity of the lashes are. Even after a few days they stay in place upon first application and last longer…no more ‘24 hour eyelash extensions’. It was a nail biting experience being the only finalist from Ireland to get through to the Eyelash Emporium World Volume Lash Master Competition & successfully Win 5th place. As always a big thank you to all my clients who voted and made me Ireland’s No 1 and the World No 5 – it can’t get better than this!! When it comes to eyelash extensions, we absolutely guarantee that our unique application method is the safest and most efficient method for perfect technique in eyelash extensions applications. We offer various training courses to suit your needs, along with our own top of the line products and the highest caliber training, which will be given directly by (me) Thereasa, a leading lash artist & lash trainer within the industry. You will be assured to receive the best dedicated training, guidance and ongoing support. All our courses are fully accredited with The Beauty Guild and on successful completion (including assessments) you will receive your Diploma. Are you thinking about becoming a Certified Eyelash Professional and increasing your client base and business income? Would you like to train with Ireland’s No 1 Professional Eyelash Extension Expert Thereasa Arcari, placed 5th in Global World Volume Lash Master Competition, well then you’ve come to the right place. I have been a lash artist since 2008 doing lash extensions on clients on a daily basis and I am still addicted! as you will be after completing our courses. I’m always striving for perfection and love taking on students to pass on my knowledge, expertise and love for lashes. What’s even better about our courses is I personally give 1:1 training so I like to give the VIP experience and attention to my students. I also give group training on request.